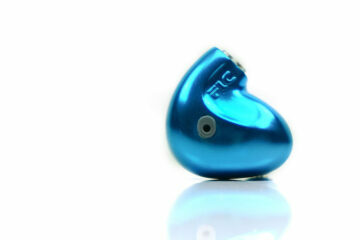 Disclaimer: The Westone ES80 sent to us for the purposes of this review is a sample and does not have to be returned. Thank you to Westone for giving us this opportunity. You can read more about Westone on Headfonics here. Westone reached out to us this summer and asked if we were interested in reviewing the ES80. We have had a fairly long history of reviewing Westone here at Headfonics. To be honest, I was a bit surprised we got the call because our W80 review was a bit muted and that may have caused some anxious expressions within the company. We just wanted to see more risk and innovation and something more expansive with 8 drivers at that price point. We are told that is exactly what they have done with the ES80 and to cut to the chase, they are not that far off absolutely nailing that claim with the ES80. Good to get that statement out of the way early I think. The ES80 is their new flagship custom Monitor, priced at $1899. Whilst it is primarily directed to stage musicians I would heartily recommend any listener to give them a whirl because in today’s looney-priced market they may yet prove to be good value. Westone pitch to three identified listening groups: active or casual, audiophile and stage musician. Within each group, they have a specific range of IEMs such as the Adventure Series for the Active group, the well-known W Series for Audiophiles and the UM Pro Series for Musicians. The ES series (Elite Series), of which the ES80 is a part of, actually straddles both Audiophile and Musician groups and is their flagship in the ES range. Westone believes the ES80 has a strong mix of excellent lows and top-end articulation that they believe appeals to both audiophiles and musicians. Thus, whilst the ES80 has the same 8-driver BA design as the W80, it will and does sound quite different due to the additional tuning combined with a unique custom monitor design. Whilst there is nothing unique in the principal behind custom monitors every company has their own way of building them. For the ES80, Westone is pitching two unique build processes that do indeed sound unique to me: Flex Canal materials and the Cold Pour Acrylic building process. With both technologies, Westone is pitching what looks to be a hybrid mix of materials that give it a feel quite unlike any other custom monitor I have used before. Flex Canal is stated as a body temperature reactive material providing superior comfort and seal. Cold Pour is described as producing a thicker and more durable build quality as well as improve on basic aesthetics. 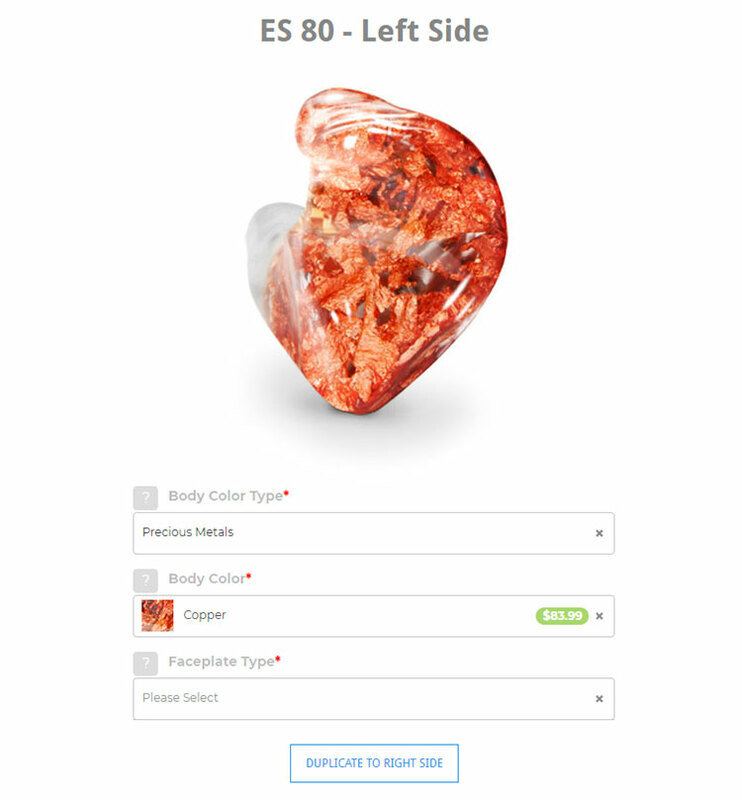 Westone’s ordering system is almost entirely online. I say almost entirely because at the very last point of building and designing your custom monitor you are required to download the order form and send it in rather than pay for it online right away. It is actually not that clear online at what point and how exactly you pay for your order but I presume that is handled by Westone once you send in your ear impressions and order form. The online store and custom designer is actually one of the better ones and up there with the likes of Custom Art from Poland and Vision Ears of Germany. It is not quite as interactive as the 64 Audio and JH Harvey stores but it does feel much more intuitive for the online shopper. Each stage has a focus on either the left or right shell initially or you can opt to do one design and duplicate on both sides. You can select from the type and color of the main shell as well as the various different types of faceplates Westone has to offer. The process will take you through to the final customer detail section to be filled in before showing you exactly what you ordered with the corresponding breakdown of all costs and final price. If all is ok then the online system automatically produces a PDF order form which you do need to check thoroughly before printing and taking to your nearest audiologist. I will not say the Westone system is idiot proof but certainly one of the easiest builders I have used to date. My only lingering thought was the tiny thumbnails for each design option might be too small to get a true idea until you see it on the 3D model at the top of the screen thus forcing you to go through almost every option. However, its a fairly fast system at that so it never feels tedious. You have seven different body types and within each type, you have several more body color options to finish the main design. You can elect to peruse through the entire range before picking with their Custom Color chart page which I found quite useful actually. In this instance, we choose the copper precious metals body color for its color “pop” and uniqueness. Not every option is free though, hence the starting price of $1899 can go up fairly quickly if you do not keep a calculator handy. For precious metals, you will have to add around $84 on the base price and is the most expensive color and design option for the body shell of the ES80. The good thing about precious metals though is you do not really need an additional faceplate to complete the design. It looks great on its own. If you do decide to get faceplates, most will start around $30 all the way up to around $88 for the premium wood versions. You do get plenty of options here including wood, carbon fiber, and even granite to mention a few. 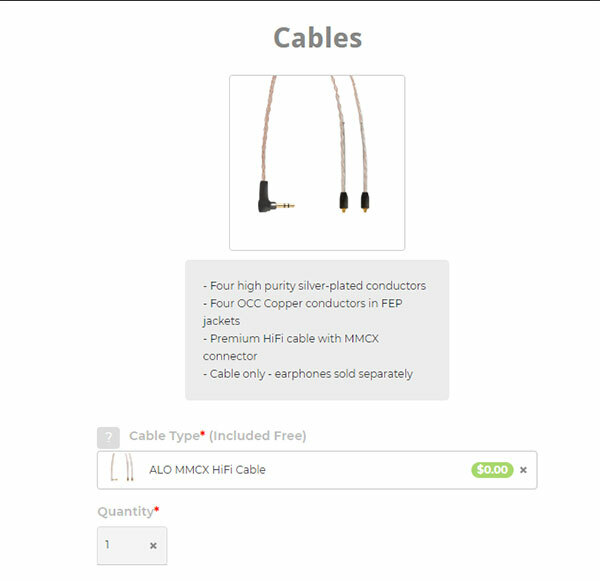 Westone provides you with an additional cable option. The standard ES80 package does come with their standard EPIC cable but it also allows you to grab the ALO Audio Reference 8 cable (in MMCX only) a no additional charge. One of the best custom monitor accessory packages in the business. 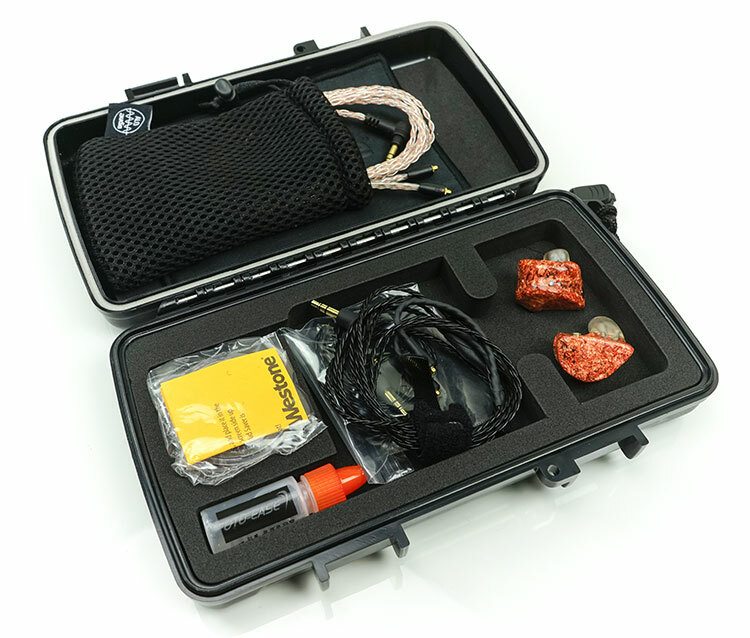 Not only do you get their branded Monitor Vault III hard case but it comes stuffed with a ton of accessories that pay more than a sliver of homage to their hearing aid roots. Inside you get up to 3 additional cables including the ALO Audio Reference cable and pouch. You also receive a small cleaning tool, their branded Oto-Ease fluid bottle, a desiccant container, and a branded cleaning cloth. The Monitor Vault III hard case is fairly large, well organized, elements and knock proof. Despite its fairly large size, the contents mean it is fairly stuffed sometimes making it a challenge to close it easily. The size also means it is not the most pocketable of carrying cases. You can use the ALO Audio pouch for greater “pocketability” but it is not that protective for accidental knocks. If you live in the US, Westone has one of the most in-depth audiologist guides I have seen to date on any custom monitor company website. You can simply punch in your Zip-Code and it should automatically bring up a recognized audiologist who can make your ear impressions to a standard acceptable to Westone. A very useful service indeed. If you live outside of the US the online locator does not cover you so I suggest you print off the order form and bring it to a good local audiologist. Westone has outlined the process from that point onwards here. Sadly, I could not locate specific audiologist instructions on their website but from my own experience, you should be aiming for a full ear impression in each ear to the second bend of your ear canal and an open jaw positioning (using small bite block). Suitable clay will be semi-viscous with mildly expanding properties such as Dreve Otoform. Make sure the clay you use is not stiff when cured or it can break during extraction from your ear and give it about 5-10 mins to cure on either side before extracting. 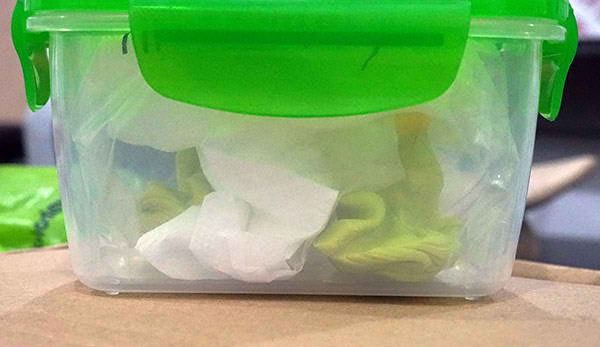 After that just stick the impressions in a small tough food container using a ziplock bag and one to 2 tissues loosely crumpled to prevent too many knocks during transit and pop it into your local courier to ship along with a print out of your order form to Westone. From the point of sending them to the point of receiving I would allow for around 1-2 weeks depending on the time of the year (holidays etc). It is a very fast turnaround, not quite Avara Customs one week speed but for a major company such as Westone, it is very efficient which should bring joy to impatient hearts everywhere.